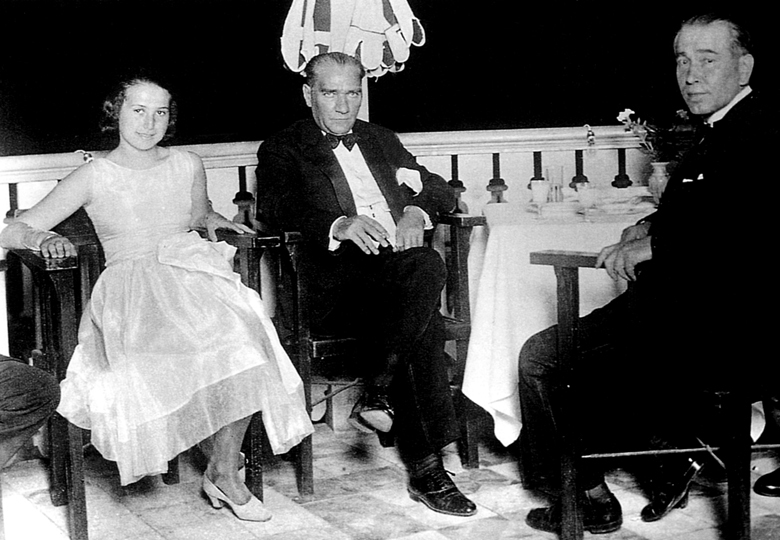 Atatürk’s reforms have been the subject of numerous works, and are still a matter of intense debate in the modern political climate. 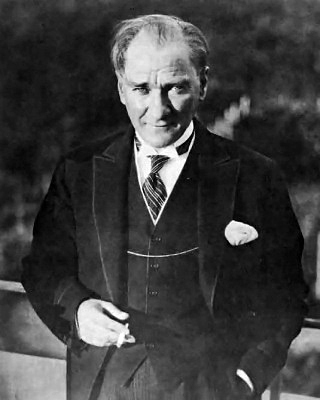 His basic ideological stance was that Turkey needed to emulate the Western secular states in terms of science, education, and so forth, whilst maintaining an underlying sense that Turkey, like all states, had unique qualities that should be preserved and treasured: a delicate balancing act that in general he managed to pull off. Obviously he encountered immense opposition from traditionalists whose vested interests were at stake, but there is no question that he was a masterful politician and tactician in navigating these troubled waters. 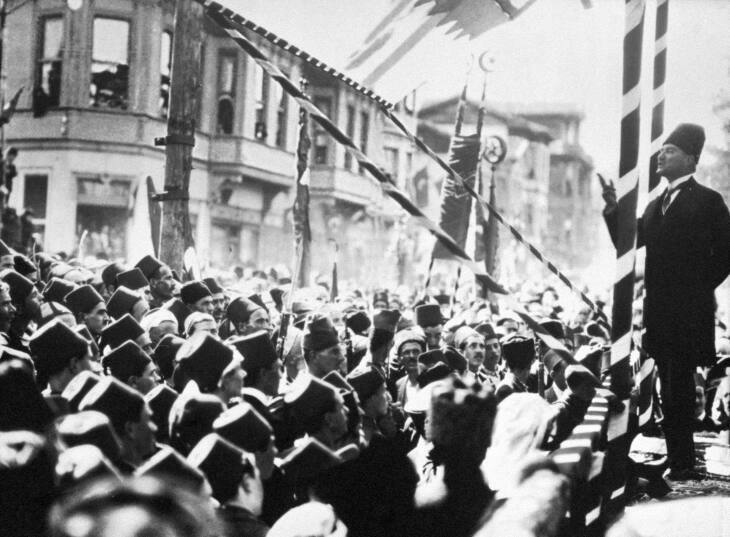 Turkey is now a modern secular state in large part because of Atatürk’s sweeping reforms. Rather than go into them all in detail, I am going to focus on his attitude towards women in society which in many respects was more enlightened than that of Western nations of his day. Social change can come by (1) educating capable mothers who are knowledgeable about life; (2) giving freedom to women; (3) a man can change his morals, thoughts, and feelings by leading a common life with a woman; as there is an inborn tendency towards the attraction of mutual affection. 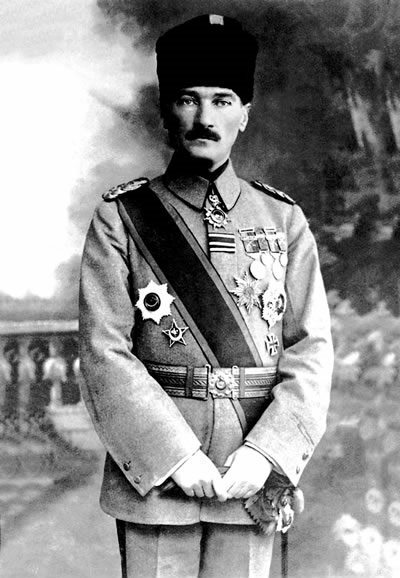 Atatürk promoted modern teaching methods at the primary education level, and Dewey took a place of honor. 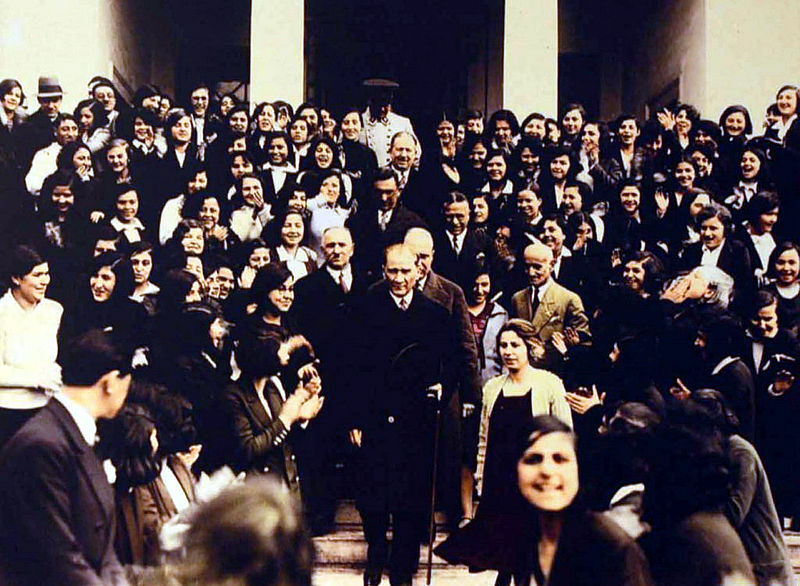 Dewey presented a paradigmatic set of recommendations designed for developing societies that are moving towards modernity in his “Report and Recommendation for the Turkish educational system.” Atatürk was interested in adult education for the goal of forming a skill base in the country. Turkish women were taught not only child care, dress-making and household management, but also skills needed to join the economy outside the home. Turkish education became a state-supervised system, which was designed to create a skill base for the social and economic progress of the country. His “unified” education program was designed to educate responsible citizens as well as useful and appreciated members of society. Turkish education became an integrative system, aimed to alleviate poverty and used female education to establish gender equality. There is no logical explanation for the political disenfranchisement of women. Any hesitation and negative mentality on this subject is nothing more than a fading social phenomenon of the past. …Women must have the right to vote and to be elected; because democracy dictates that, because there are interests that women must defend, and because there are social duties that women must perform. 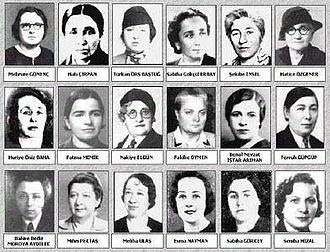 In the 1935 Turkish elections there were 18 female MPs out of a total of 395 representatives, compared to 9 out of 615 members of the British House of Commons and 6 out of 435 in the US House of Representatives. 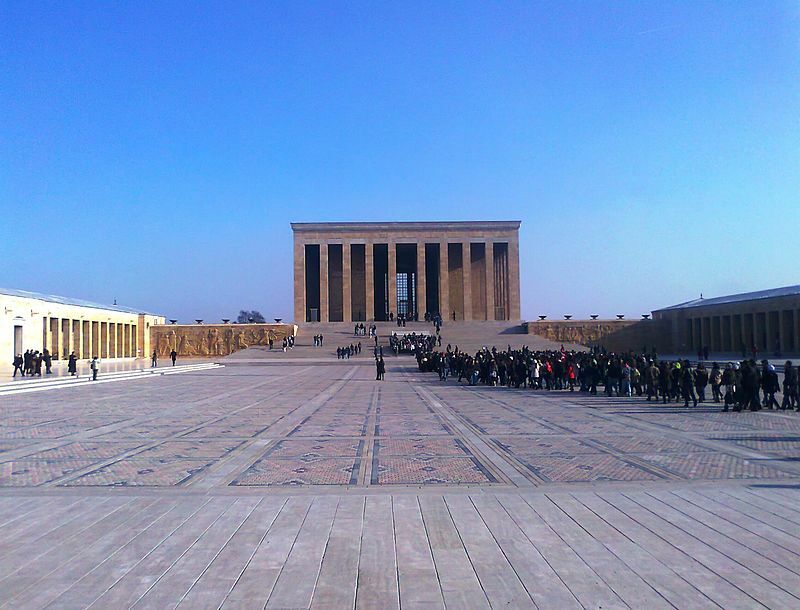 Kemal Atatürk is commemorated by many memorials throughout Turkey, such as the Atatürk International Airport in Istanbul, the Atatürk Bridge over the Golden Horn (Haliç), the Atatürk Dam, and Atatürk Stadium. Atatürk statues have been erected in all Turkish cities by Turkish Government, and most towns have their own memorial to him. His face and name are seen and heard everywhere in Turkey; his portrait can be seen in all public buildings, in all schools and classrooms, on all school books, on all Turkish lira banknotes, and in the homes of many Turkish families. At the exact time of his death, on every 10 November, at 09:05 am, most vehicles and people in the country’s streets pause for one minute in remembrance. Turkish cuisine is a rich and eclectic mix – the heritage of Ottoman cuisine, which can be described as a fusion and refinement of Central Asian, Caucasian, Middle Eastern, Mediterranean, and Balkan cuisines. Many dishes and specialties, such as kebabs, Turkish delight, baklava, and dolmas (stuffed vine leaves), are known worldwide (and also claimed by other cultures as their own). Here’s my version of a classic dish served both as a home breakfast (or other meal) and as street food – menemen. It is essentially scrambled or poached eggs in a tomato and bell pepper sauce. I prefer the poached egg variety. Heat the olive oil in a heavy skillet (I use my trusty cast iron version) over medium-high heat. Sauté the onions, pepper, and chiles and cook until they soften but do not take on color. Add the tomatoes and sugar (if used) and stir will with a wooden spoon. mixing well. Simmer until the liquid has reduced and the sauce thickens. Season with salt and freshly ground pepper to taste. Make 4 pockets in the tomato mixture and crack the eggs into them. Cover the pan and cook the eggs over a low heat until the whites are set, but the yolks are still runny. Meanwhile, beat the yogurt with the garlic and season to taste with salt and pepper. Sprinkle the menemen with parsley and serve from the frying pan with a tablespoon or so of the garlic yogurt.